The addition of the words “and merlot-based blends” signals a significant shift in emphasis, Gilles Martin, the technical director, said in a telephone interview. The group was founded in 2005 to promote the then-prevalent idea that merlot would prove the East End’s defining red. The successes that many wineries have had with cabernet franc, cabernet sauvignon, malbec and petit verdot have raised questions about whether the alliance’s viewpoint was too narrow. So has the organization’s size. Although Long Island has 58 producers, Merliance consists of six: Wölffer Estate Vineyard, Raphael, Sherwood House Vineyards, Clovis Point, McCall Wines and T’jara Vineyards. The change in direction by Merliance is not surprising given the youth of the Long Island wine industry, which got its start in 1973. In the premium-wine world, finding the optimum directions for a region’s grape farming and cellar work can take decades, even centuries. The plush, deft 2008 Merliance wine, released this month, is the group’s fifth; like the others, it is 100 percent merlot. It carries a faint, fetching aroma of pencil shavings and dark licorice. It costs $35 at member wineries. The wine originated with samples from barrels and stainless-steel tanks selected by all the producers and tasted blind collectively by their representatives. The final blend was decided after a handful of trials, and each member contributed the equivalent of two full barrels. 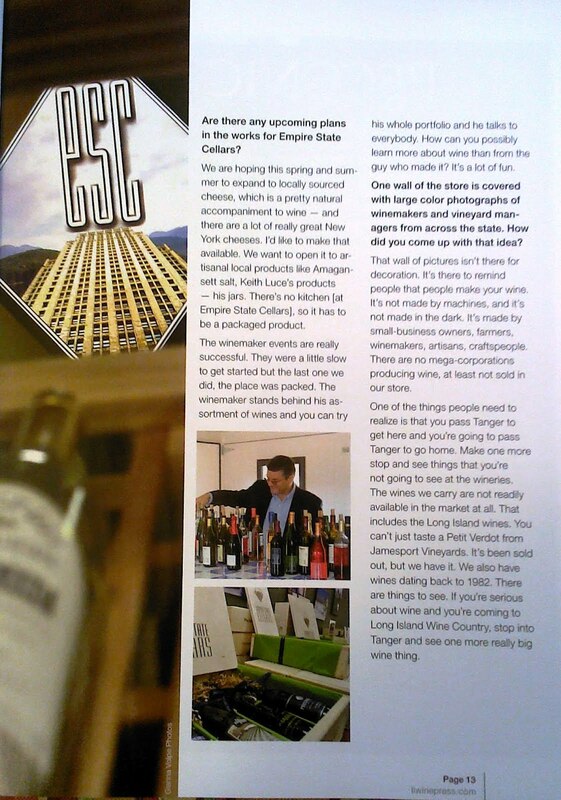 The 350 cases were made at the Premium Wine Group, a contract winery in Mattituck. I have drank many Shinn wines. But must embarrassingly I must admit that I never visited the vineyard. It was not a purposeful omission. My visits to Long Island, by necessity, have been very rushed in the last four or five years. I’ve made very few visits off the main roads. It was a hodge-podge of visits, employing journalistic guerilla tactics, hit-and-run visits, with all the subtle timing of a full on assault. Interview. Drink. Leave. Race to one more winery. Hit 495 West home. Race to avoid traffic. Ugh! This last visit I had time to hit some of the back roads, and visit some wineries that were in fact not on the main road. I took the road less traveled….and at Shinn, it made all the difference. I’ve read a great deal about David Page and Barbara Shinn, but I’d never met them. After just a few minutes with both of them, I cannot help but admit it, the rest of the world somehow melted away. 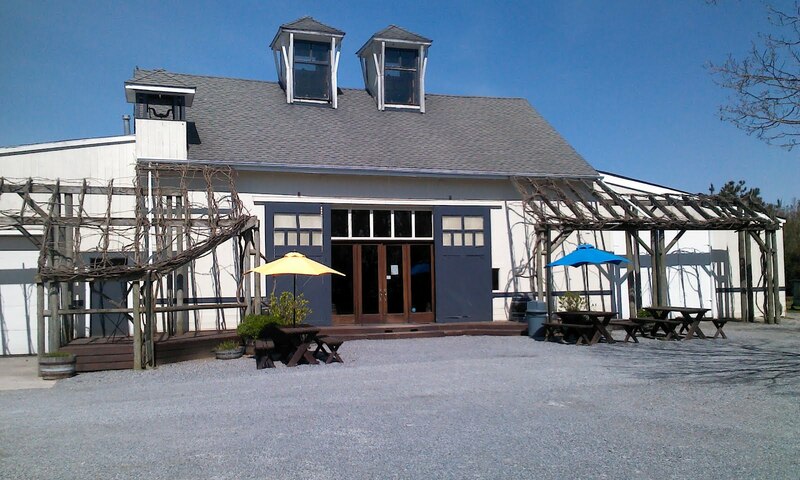 When you enter Shinn Vineyards, it has an odd kind of calming effect. You’re at Shinn. It’s a very zen kind of moment. You get swept up in it, not like a tidal wave, but more by a gentle current. Am I a sucker? I don’t think so. Time seems to slow down when you’re at Shinn. But it’s a good thing. They planted their vineyard in the spring of 2000, after two years of working with the soil. David and Barbara over see a blooming meadow of clover, sorrel, vetch, dandelions, asters and goldenrod that grow between the vine rows and under the trellis. Their soil is fed a diet of organic inputs including seaweed, fish, composted pressings from our winemaking, mulched prunings, horn manure, and biological teas. The complex habitat they have allowed to evolve is teeming with beneficial insects, rabbits, birds, their honeybees and their roaming Bantam chickens. They have created a balanced ecosystem in the vineyard that allows beneficial insects to keep troublesome ones in check. 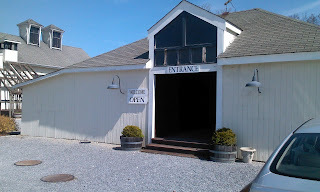 You can say it all sounds a little too woo-woo, but in fact Shinn Estate Vineyards is one of the founding members of the Long Island Sustainable Wineries organization, the first third party recognized sustainable practices organization on the east coast. They take it very seriously. 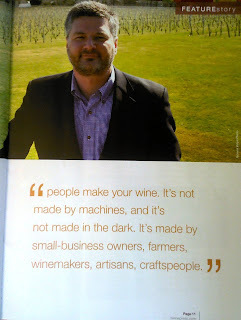 A lot of wineries say their “sustainable” but you get the sense that it’s sloganeering, whereas at Shinn, you know it’s the absolutely something they believe in. Shinn has already taken the road less traveled for you. They have gone down a very intense, less traveled route, to get to their wines. Shinn doesn’t do anything like anywhere else. 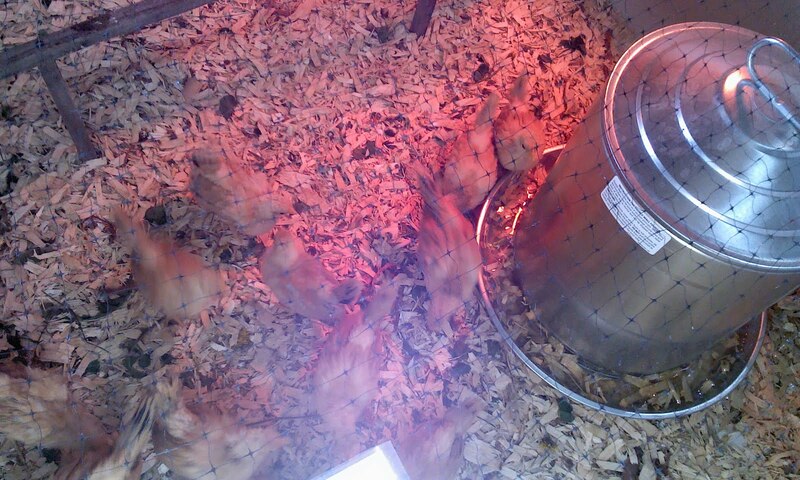 Even when it comes to chickens. 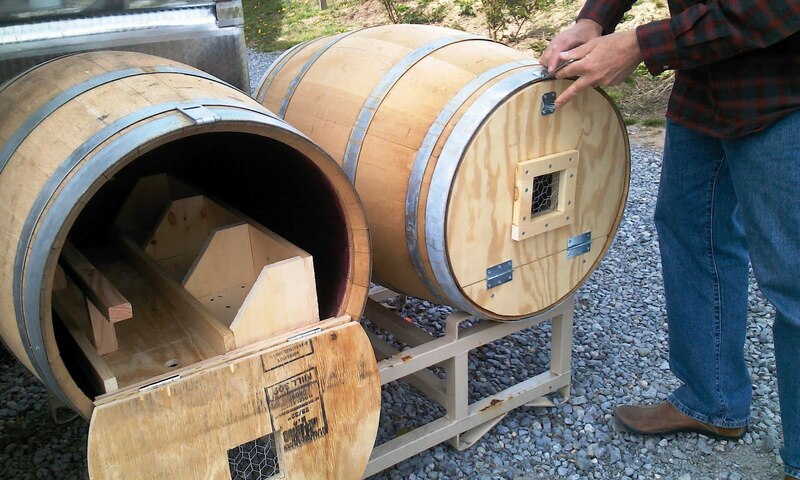 Barbara and David were making a chicken coop out of old barrels. The barrels were set on tees, but one end was recreated with a trapdoor and some chicken wire, so the birds could breathe and hide from the foxes at night in the safety of their coops. They were quite unique and distinct. Everything has a second use, it seems, even after its first use is done. They just keep working it at Shinn. 2011 First Fruit Sauvignon Blanc - This wine is called “first fruit” because it is the first fruit that they harvest from the vineyard every year. As described, their sauvignon blanc exhibits classic flavors of ripe pear, mineral and herbs, which come through loud and clear. Vibrant fruit with elegant floral and tropical notes. Incredible. One of my absolute favorites of the visit!!! 2010 Chardonnay – This unoaked Chardonnay features prominent mineral characters mixed with tropical fruit and well-balanced acidity. A long 8 month post fermentation on lees helps to bring complexity to the wine without becoming too big. Very flavorful. Pretty. 2011 Coalescence - A blend of Sauvignon Blanc, Chardonnay and Gewurztraminer are combined in this light, delicious refreshing white. A big citrus bomb. Delicious. 2011 Rosé - Strawberry, raspberry and watermelon all come through huge on the nose. A subtle but fantastic wine with great fruit, and nice acidity. A nice, dry finish. Elegant. Wonderful! Red Blend – This is a non-vintage blending of a little bit of everything, including Merlot, Cabernet Franc, Cabernet Sauvignon, Petite Verdot, and Syrah. This is a great, every day table red. Delicious. A very, very nice wine. A solid wine you should buy by the case as your house wine. 2008 Estate Merlot - Classic flavors of black cherry, chocolate, coffee and vanilla all come through as promised. Lots of spice, a hint of tobacco leaves, a whiff of cocoa? This wine can be drunk now and/or saved for 5-10 years. A very, very solid Long Island Merlot. 2009 Wild Boar Doe – This is Shinn’s playful turn on Bordeaux-styled blend or meritage. The wine is a blend of 40% Merlot, 23% Cabernet Sauvignon, 17% Malbec, 15% Petit Verdot, and 5% Cabernet Franc. Big ripe flavors of dark stewed fruits like blackberry, dark cherry, dark raspberry, big cocoa and vanilla. A hint of cassis. Wonderful! Really like this wine! And it will age fabulously. 2008 Nine Barrels Reserve Merlot - Blackberry and black plum come through as promised as well as a hint of violet and chocolate, and earth. Lovely. 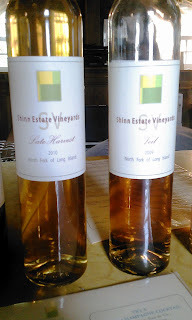 2010 Late Harvest - In October of 2010 Shinn harvested two rows of Sauvignon Blanc and one row of Semillon after it had been dried to raisins by “noble rot.” The grapes were de-stemmed, combined, and then fermented together. After pressing, the wine was aged for ten months in a single three year old barrel. It was finished in new oak for 10 days before bottling. The wine is a delicious, subtle with hints of honey and apricot. Lovely! 2009 Veil - In October of 2009 they harvested two rows of ripe (instead of raisin-ed) grapes Sauvignon Blanc and one row of Semillion. Like the late harvest, the grapes were fermented and pressed together, and aged for two years in three year old barrels. A special tip of the hat to Robert Frost. As always, the sage old Poet Laureate was correct. This was an awesome experience. Shinn is another world away. And their wines, coincidentally, are out of this world. Fantastic stuff. Absolutely wonderful. I took the road less traveled, and that made all the difference. A little while back, I was at The Red Lion Inn, having a pint at the Lion’s Den, their very comfy bar downstairs. Such a fun place. I asked what local beer they had on tap, and the man mentioned a beer from Wandering Star Brewery called Zingari. How do you turn that down? 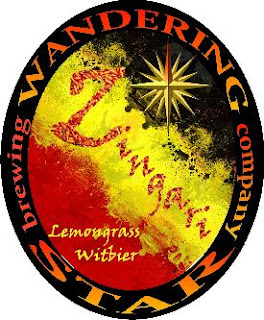 Wandering Star is a 15 barrel microbrewery in Pittsfield, Western Massachusetts - the largest city in beautiful Berkshire County. The Brewery is the joint effort of three transplanted brewers and craft beer enthusiasts who met in New York City's thriving craft beer scene a few years back. 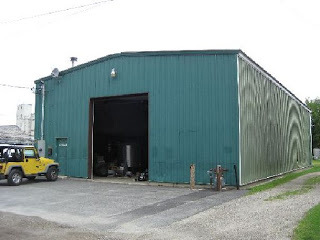 After a long and bumpy path, we finally became a fully licensed and operational commercial craft brewery in 2011. The winery brew crew is as studded with big beer names as you can imagine for such a small winery. The Morning Star brew team includes Shannon Post, the President. Chris Post, owner, founder, brewmaster was the 2010 President of the New York City Homebrewers Guild, and Ex-assistant brewer at Greenpoint Beer Works (affiliated with the Heartland pubs). 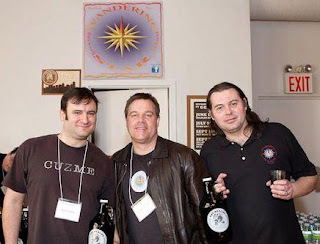 He is an award-winning and passionate homebrewer who has gone commercial with Wandering Star. Alex Hall is a partner. He covers NYC sales and events. He’s also the website guru. Alex is a famous Ale Street News columnist. In 2006 he was President of the Malted Barley Appreciation Society. Alex also is the Real Ale guru and organizer of scores of cask ale festivals in NYC and beyond, author of 'Beer Demystifier New York City' (www.gotham-imbiber.com). Formerly with England's award-winning Dark Star Brewery. 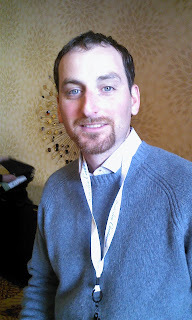 Chris Cuzme is also a partner who also covers NYC sales and events. In 2011 he was President of the New York City Homebrewers Guild, 2010 President of the Malted Barley Appreciation Society, co-founder of the NYC Degustation Advisory Team, and he was one of the driving forces behind NYC Craft Beer Week and 'Get Real New York'. He’s also an extraordinary musician. Brewhouse assistant is Juan Bolte. 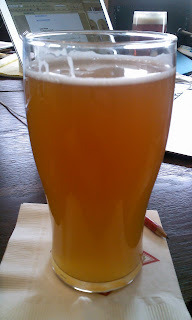 The beer I had was the Wandering Star Zingari, a Belgian Witbier. First introduced on October 2011, 'Zingari' is Italian for gypsies, and this name perfectly captures Wandering Star's take on the Belgian Wit style. Brewed with 50% six-row barley and 50% malted and unmalted wheat, the beer is subtly spiced with lemongrass, cardamom, fenugreek, and coriander. The result is a refreshing 5% ABV beer with a zingy citrus zest. This was a great beer! I usually don’t go for stuff that’s too fru-fru. And the lemongrass mention kinds worried me. Nothing to worry about. This was an excellent witbeir. Awesome! 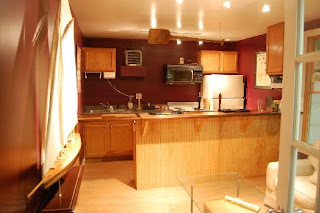 Their located in Pittsfield with a tasting room. Go, now! 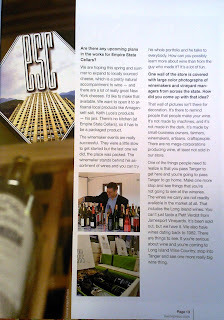 I'll be doing a separate piece on Empire WIne Cellars, but I thought this was an excellent article about the New York wine superstore out on Long Island. It's a fantastic place. You must go if you live there or are planning to visit. 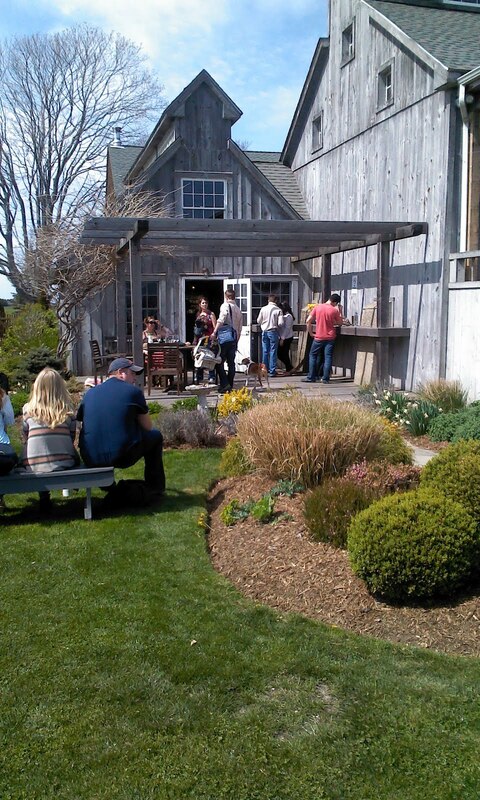 Jim Silver of Peconic Bay Winery, along with Polly and Evan, are a formidable group of wine people who know what they are doing, and what they've got on their hands. A great experience. On the east coast, there are few vineyard managers as famous as Lucie Morton. Lucie is an independent viticulturist. Trained in Europe and based in Virginia, she is an author, lecturer, and consultant on viticultural topics in the international arena. Areas of special interest are ampelography, rootstocks, grape and wine quality, and vineyard longevity. Morton's influence skyrocketed in recent years with the initial success of three high-profile Washington area clients: Black Ankle Vineyards and Sugarloaf Mountain Vineyard in Maryland, and Boxwood Winery in Northern Virginia. She also consults for Chatham Vineyards on the Eastern Shore and Rosemont in southern Virginia, which won best of show at the Atlantic Seaboard Wine Competition in July for its Meritage. She has other clients who have not yet released wines. 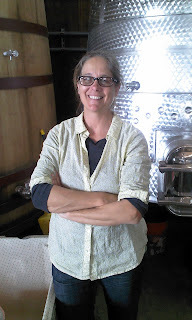 Her clients' accomplishments bolster Morton's argument that the herbaceous, underripe flavors that typically plague East Coast wines can be conquered through proper vineyard management. "Everybody bought into this idea that we have a terrible climate to grow grapes," Morton says. "Sure, we get hurricanes. What wine region doesn't get messed up once in a while? With canopy management, French clones and crop control, we are able to get nice fruit with ripe sugars - riper than we ever thought we could 10 years ago." Throughout the year, Morton can be found trudging through her clients' vineyards in Virginia, Maryland and Pennsylvania, followed by her constant companion, a Norwich terrier named Randy. 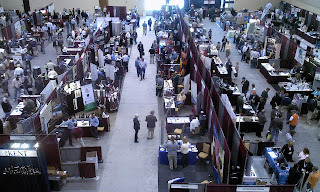 Lucie’s presence loomed tall and large over the most recent Eastern Wineries Exposition 2012 held in Lancaster last month. And with good reason….many of the attendees wanted to here what she ha to say. Not always affordable as a consultant for many smaller wineries, this was an opportunity to hear what the vineyard guru had to say. 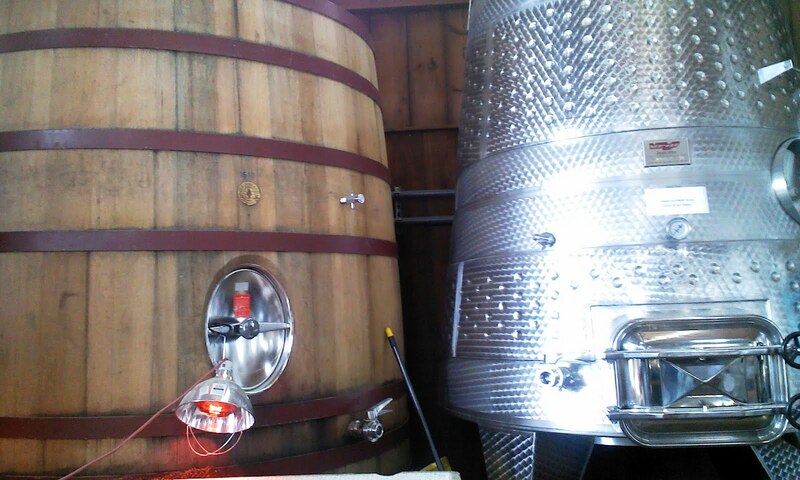 After all, if you’re a small winery, don’t you want to rub up against her an hope a little star magic rubs off? A lot of winery owners felt that way. Lucie was the talk of the show. And when she spoke, it carried long and hard. Each time Morton spoke, winemakers, vineyard managers, and owners took notes. Never did I see so many usually hardened faces, smug with a “show me” attitude become such good school boys. Each note was taken, references made, serious questions asked. After all, when the story about Boordy Vineyards goes around the hallways, people begin to listen. 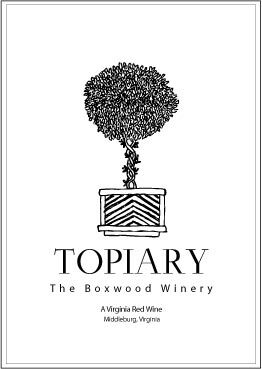 The way McIntyre told the story, Moton was hired as a consultant by the legendary Boordy Vineyards of Maryland to help improve the quality of their wines. Bob Delford wanted to make serious dry table wines, but couldn’t seem to get the flavors right. 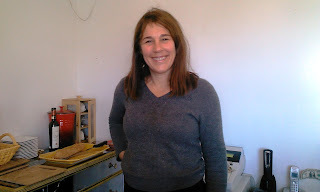 Morton brought a bottle of wine made from a closely planted vineyard of her design. The wine was fantastic, and Delford was hooked. He ripped out more than half his estate, and replanted according to Morton’s instructions. Morton didn’t invent this kind of philosophy. They’ve been doing it out west for more than a decade, taking a hint from the Europeans. But Morton brought the successful philosophy to the east, where wider spacing has held sway since the days of Philip Wagner and Dr. Konstantin Frank. The close planting model relies on not stressing your vines as much as allowing them to concentrate on setting ripe fruit. Canopy management, leaf pulling, and effective spraying schedule also figure in. But allowing each plant to concentrate its efforts on the few bunches of grapes you allow it to produce, seems to produce, according to Morton, deep, rich fruit, which does not have any herbaceous flavors nor green pepper. Just big, lush ripe fruit. During this seminar, you could have heard a pin drop. Even the wine profs from Cornell, Penn State, and others, sat in the room taking notes. Another seminar was the Vineyard Spraying Workshop which featured speakers Bryan Hed and Dr. Andrew Landers, with Lucie Morton moderating. Hed discussed various aspects of chemical grape disease management programs for conventional and organic production systems. An overview of fungicide spray timing and the materials currently available was provided to prepare growers for what and when to spray in order to control all the major grape pathogens including Botrytis. The availability and performance of new fungicides, particularly for powdery and downy mildew, was also discussed. Bryan Hed is a Research Technologist in the Plant Pathology Department at Penn State University. For the past twelve years, Bryan has been conducting research to evaluate chemical and cultural disease management strategies for grapes in both conventional and organic production systems at the Lake Erie Regional Grape Research and Extension Center in North East PA. In addition to ongoing research, Bryan works closely with Penn State and Cornell extension to educate and advise eastern grape growers with the latest information on grape disease management. 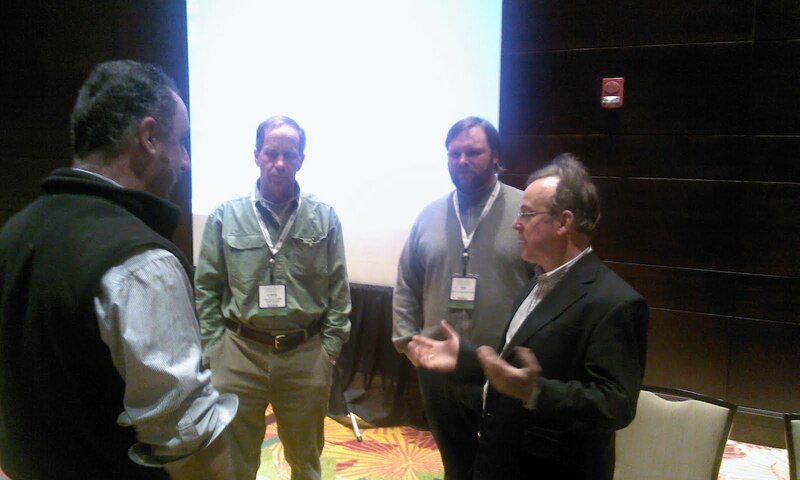 Dr. Andrew Landers discussed methods of improving spray deposition and reducing drift in vineyards. A basic understanding of volume rates, targeting spray and controlling airflow is needed to combat some of the problems seen in the latter part of the 2011 growing season. Attention to detail and good timeliness are, as always, keys to successful spraying. Dr. Andrew Landers studied and taught agricultural engineering in England before he joined the faculty at Cornell University in 1998. He is based at the New York State Agricultural Experiment Station in Geneva where he directs the application technology program and his teaching/extension/research appointment involves the use of engineering solutions to provide safer spraying. In 2007 he was presented with the College of Agriculture & Life Sciences at Cornell University award for outstanding accomplishments in extension and outreach. While the two men provided the in-depth knowledge of the seminar, Morton was asked as many questions from the audience as both men. And she had as many or more questions or clarifications than the rest of the audience combined. She was never pushy and never overshadowed the speakers intentionally, but her philosophies were as evident here as they were in her own seminar. And again, when she spoke, notes were taken. Chien is a well respected wine prof. A UC Davis grad, his first job was at Pindar Vineyards on the North Fork of Long Island where he eventually became vineyard manager and its first winemaker. In 1985 he migrated to the Willamette Valley of Oregon to manage a 220-acre farm. In 1999 he became the first wine grape extension agent for Penn State Cooperative Extension, based in Lancaster. In 2005 he was assigned state-wide responsibility for wine grapes. His experience is grounded in commercial viticulture, and he delivers a wide variety of educational materials to local and regional wine growers. Adam McTaggart discussed his impressions of Cabernet Franc Clones 214, 327 and 623 in a Northern Virginia vineyard, including similarities and differences between these clones, importance of sourcing plant material, and importance of rootstock and site selection to maximize quality. Adam began his career in the wine industry at The Malivoire Wine Co. in Beamsville ON, Canada as a Viticulturist during the spring of 2000 while earning his BSc. Biology (2004) and completed a Wine and Grape Technology Certificate from the Cool Climate Oenology and Viticulture Institute (CCOVI, Brock University) in 2005. While at Malivoire, Adam was instrumental in implementing an organic vineyard management strategy which ultimately resulted in Organic Certification for two of the company’s vineyards. In 2005, Adam joined Boxwood Winery in Middleburg, Virginia as Cellar Master and quickly assumed Vineyard Management and Winemaking duties. It is in this capacity that McTaggart works closely with the vineyard consultant Morton. Renowned Bordeaux-based winemaking consultant Stephane Derenoncourt advises on the winemaking side. The three of them make a formidable team. 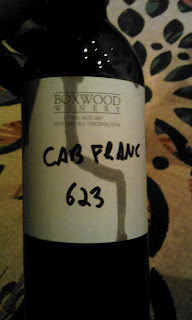 Boxwood Winery has gained a reputation for producing terroir driven wines that have been well received by the consumer and critics alike, while sustainably tending and expanding the vineyard with carefully sourced plant material. 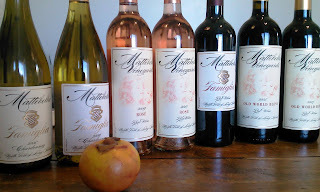 McTaggart brought many of the wines to taste. It was a real treat, since the wines were barrel samples of each of the clones, and sometimes the same clone form two different locations. It was an incredible learning tool. Here, Morton’s presence was also felt. More questions of close planting and vineyard management were thrown at her, and by her, asking questions, throwing out advice, and participating in the conversation. Again, both men were never overshadowed, and Morton’s interjections (or answering of questions from the audience) seemed welcomed…invited even. 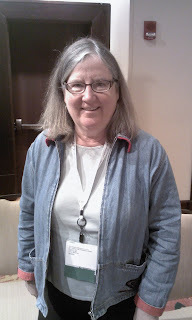 In the hallways people were commenting on her prowess of knowledge, and avidly discussing her theories and results. There was no question…if you were an attendee, and you were planting a new vineyard, you took copious notes. The results seem clear. With quality wine producers on her list like Black Ankle, Sugarloaf, and Boxwood, all of whom make opulent, impressive wines of great integrity and elegant character, Morton’s words take hold quickly. She has that confidence and swagger of a grizzled, successful veteran, but the enthusiasm of a young woman. There is a star quality about her. Maybe it’s her hardened pragmatism, her seemingly good sense of humor, or her no nonsense approach, but the men and the women in the room just ate her up. And they were all grateful, if they couldn’t afford to hire her, to listen to her talk for a few hours. 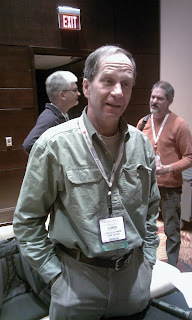 Eastern Wineries Expo: Optimizing Varietal Fruit Character in Red Hybrids – A Watershed Moment? I know that I am considered the patron saint of hybrids on the east coast, and that there are a number of wine writers and experts who wish I would just pick up my hybrid toys and just go home. I can hear snickering from here. "They’re not real wines," say some snobs. “No one will ever buy them,” others opine. They are not serious enough. But really, is what the world is waiting for is another merlot, or pinot noir, or chardonnay? I am tired of hearing about unique grapes in Sicily or Greece or Hungary….whatever happened to unique grapes on the east coast? With the advent of more cold-climate vineyards, by necessity, new, more winter hardy grapes are entering the common wine lexicography. That’s why I was thrilled to see on the schedule docket, “Optimizing Varietal Fruit Character in Red Hybrids,” as a panel discussion with winemaker Ian Barry (Keuka Springs Lake Winery, NY), Dr. Joseph Fiola (University of Maryland), Chris Granstrom (owner of Lincoln Peak Vineyard in New Haven, Vermont) and Brad Knapp (owner/winemaker Pinnacle Ridge Winery, PA). The added bonus was the Denise Gardner was also in the audience. Simply put, this was without a doubt, the best single winemaking seminar ever devoted to hybrid grapes, and was valuable for numerous reasons. And the house was packed, standing room only! In a large ballroom. And it was about making quality wine. The grapes discussed were Leon Millot, Chambourcin, and Marquette. All three of these grapes are growing in popularity. Chambourcin has really taken hold in New Jersey and Pennsylvania where folks are tasting more and more quality wine made with this fruit. Marquette is absolutely the fast growing darling of the cold hardy world. 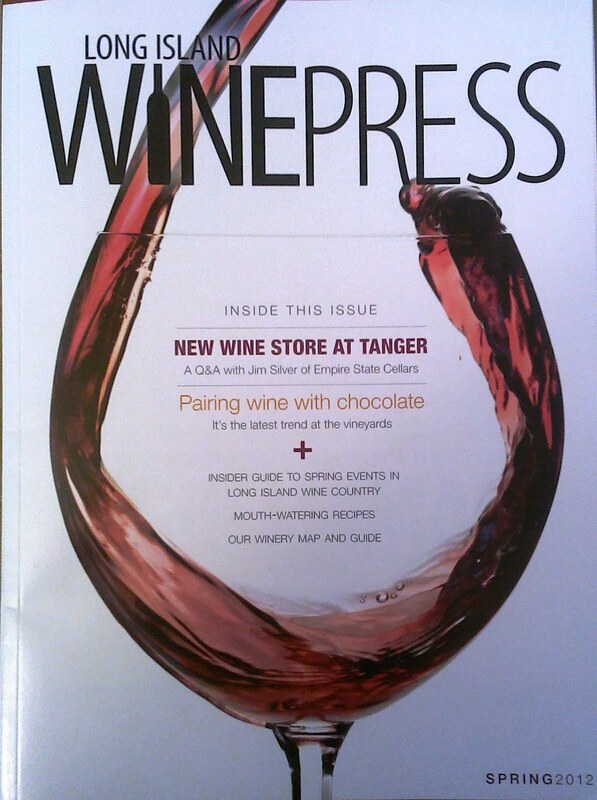 Winemakers can’t seem to find enough. And Leon Millot is one of the old traditional hybrids, once discarded, which now seems to be seeing a quality wine resurgence. Ian Barry makes a killer Leon Millot at Keuka Springs Lake. 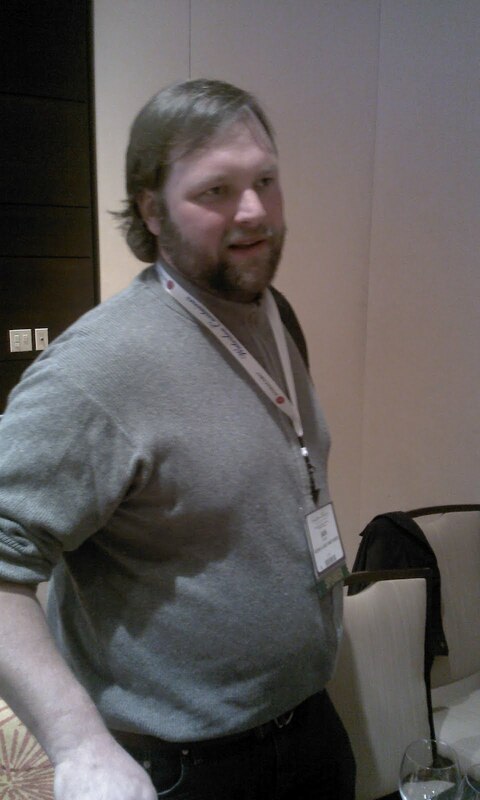 Ian wrote, “Often thought of as a blending grape, Keuka Lake Vineyards has had great success with Leon Millot as a varietal, culminating with the 2010 Leon Milllot being named “Best Red Wine” at the New York Wine and Food Classic.” At the meeting, Ian explored clonal selection, viticultural practices and decisions in the winery as factors affecting wine quality. Ian included the tasting of two wines, one from the Boordy clone of Leon Millot and one from the Foster clone of Leon Millot. University of Maryland wine professor Joseph Fiola talked about his winemaking techniques for Chambourcin. Dr. Joseph A. Fiola has over 25 years of academic experience in research and extension in viticulture (grape growing) and enology (winemaking). Joe is also one of the top ten award winners of all time in the AWS International Amateur Competition, including a “Best of Show” in 2003. According to Fiola, “Chambourcin may be the best overall adapted variety to the Mid-Atlantic based on excellent cold hardiness, very good disease tolerance, good color, and ability to ripen fully in most years.” Fiola highlighted cultural practices to follow in the vineyard and some interesting things to try in the winery. 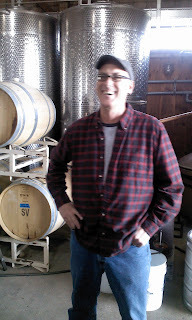 Brad Knapp, the winemaker/owner at Pinnacle Ridge talked about Chambourcin as well. “ Chambourcin is the only red hybrid that we have grown at Pinnacle Ridge and we find that it can fulfill a number of different roles in the winery portfolio of wines.” Knapp discussed growing Chambourcin for different wine styles and also how they handle it in their cellar. Pinnacle Ridge has been awarded three Governor’s Cups, 2003, 2006 and 2009. Two of the cups, 2003 and 2009, were for dry red wines made from Chambourcin. Chris Granstrom has quickly become the darling of the winemaking North country. He grows 12 acres of northern grape varieties and produces about 2000 cases of wine a year. 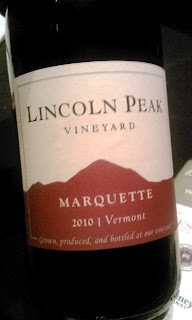 His Lincoln Peak Marquette, a medium-bodied dry red estate wine made in Vermont’s hard winter lands, is absolutely fantastic! And his minimalist approach is mind-boggling to anyone who knows anything about growing grapes in cold weather. According to the quiet Vermont vintner, “Both Marquette and Frontenac have the potential to make very flavorful and marketable wines.” Gransrom talked about how to handle them in the vineyard, harvest parameters, how he treats them on the crush pad, yeast selections, fermentation temperatures, and residual sugar levels. He admitted, “I make very different style of wine from these two grapes.” No question. The Marquette is a medium-to-dark Pinot-styled wine, with incredible character, and the Frontenac is a big, dark purple, ink monster. Both wines were incredible. There were several reasons why this session was so fantastic, and at least in my mind (small though my brain might be) historic. Firstly, these men shared copious notes on their treatments of these grapes in their vineyards, in their winemaking, and in their cellar treatments (French oak, American oak, etc.). Some of it was dry. None of them are comedians nor nature narrator David Attenborough. But the talk was never boring. Secondly, to back up their discussions, they brought wine with them to taste. This wasn’t showing off. Indeed, several brought wine that were straight from barrels, and was not yet ready for bottling or blending. The idea was to share real raw information. And most important to me, this was a whole seminar where experienced winemakers sat around sharing winemaking techniques wherein they were bringing modern technology and matured, season winemaking, to the fore while discussing hybrids! People ask me “Why has wine in the east improved so much in the last 5-10 years?” The answer is simple. On the east coast, the winemaking tradition had been lost after Prohibition, and it took a long time to get it back. There are now two generations of winemaking expertise here on the east coast which you couldn’t say 20 or 30 years ago. Winemakers who have learned to work with Pinot Noir, Merlot, Chardonnay, etc., are turning their attention to hybrids, experimenting, seeing what it is they can do to make great wines with them. That’s a lot of knowledge to bring to bear. Wine is made in the vineyard. Each winemaker talked about vineyard spacing, leaf pulling, hedging, spraying, and harvesting with the same gusto I had heard in the Cabernet Franc seminar (another discussion). 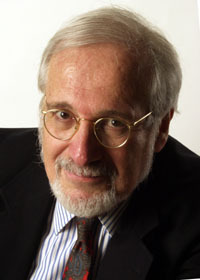 The knowledge used to make many of the wines from the 1970s and 1980s were made using the books written by Philip Wagner a generation earlier. A good, solid manual to be sure. But winemaking in the east has come a long, long way since then, though eastern winemakers are still held in scant regard with the shadow of those years hanging over them! Today’s winemakers are better at handling oak and non-oak, using more sophisticated means, cold soaking, or conversely, only briefly leaving the wine on the skins, to accomplish different flavors and finishes. The winemakers have more years of knowledge handling the fruit than ever before, and have a bigger and more informed group of extension experts to help guide them. 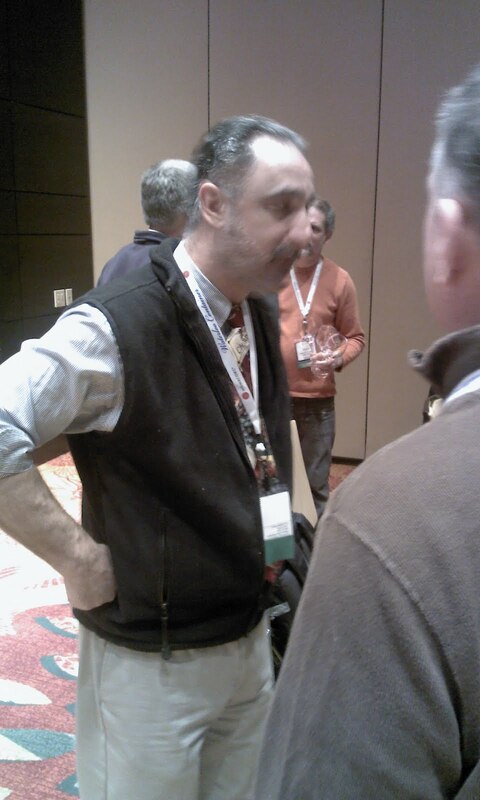 Winemakers are talking to each other, sharing information. More and more that is the case. It can only make wine better. So many wine writers are still questioning hybrid reds. 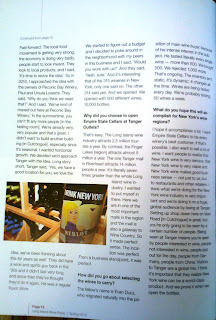 But the fact is that they are growing in popularity with the only people who count – winery customers. More and more quality hybrid wines are getting more and more press, and more and more awards….and wineries are selling more and more wine. Not the old grape juice with a shot of vodka, but sophisticated, serious, mature, complex, layered red wines worthy of aging and great reviews. No matter the rants of a number of people, this was an important event, and it IS a turning point, the pendulum is swinging back towards hybrids. A watershed moment? I think so. Huge kudos to Richard Leahy and Bob Mignarri for putting together and hosting such an important seminar! It’s intense seminars like this that will make me go back again next year! 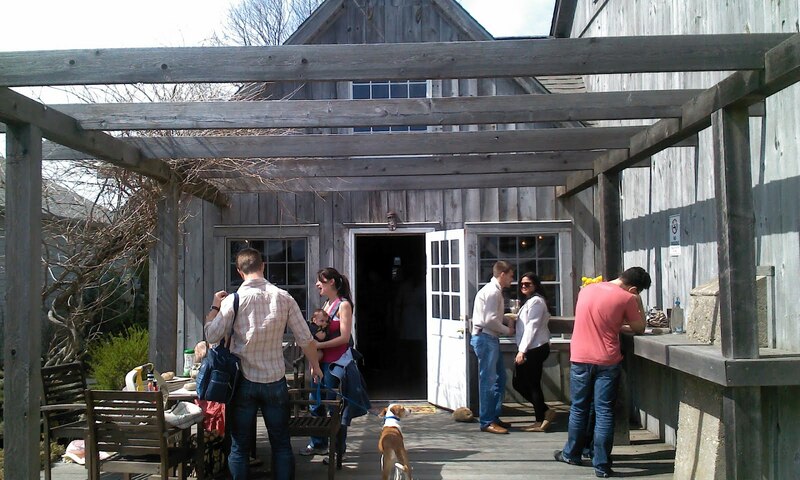 Eastern Wineries Exposition A Success! In March I went to Eastern Wineries Exposition. It was a new show near the old stomping grounds. 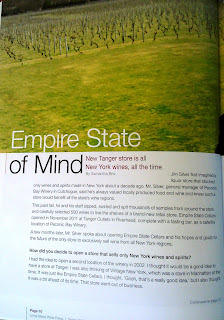 For a New York winery it was simply just closer to home. I was actually thrilled with it. The trade show was great, and I was happy to have the Grand Tasting back on the opening night, where one could go around tasting wines from other regions. Always incredibly informative. Also a great time to see and chat with others. More importantly, I felt that the slate of speakers and topics was of particular interest to me. More than any other trade show in a long time, the seminars and lectures were of keen and particular interest to me. In the coming week or so, there will be a series of essays and articles sparked from my visit to Eastern Wineries Expo, which I thought was a thundering success! 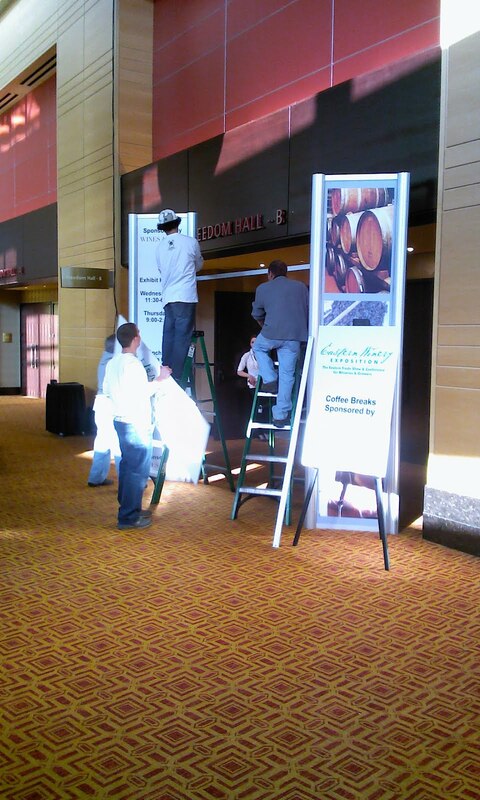 Lancaster, Pa.—Creating a new wine industry conference and trade show requires not only careful planning but also the willingness to take on a certain amount of risk. Last year, when Bob Mignarri began planning the Eastern Winery Exposition, held March 7 and 8 in Lancaster, he could not have known that the event would exceed his expectations by a wide margin. 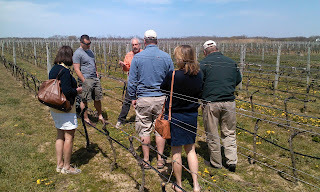 Mignarri sought to provide Mid-Atlantic and northeastern wineries and vineyards with an easily accessible, low-cost professional meeting timed in advance of spring planting. According to the final tally, 934 attendees registered for the event, not including exhibitors. Total participation including exhibitors was 1,400. A trade show with 136 exhibiting companies in 181 booths sold out six weeks before the event. A quick look at registrations showed that more than 125 people came from New England, just fewer than 200 from New York and New Jersey, and 422 from Pennsylvania. 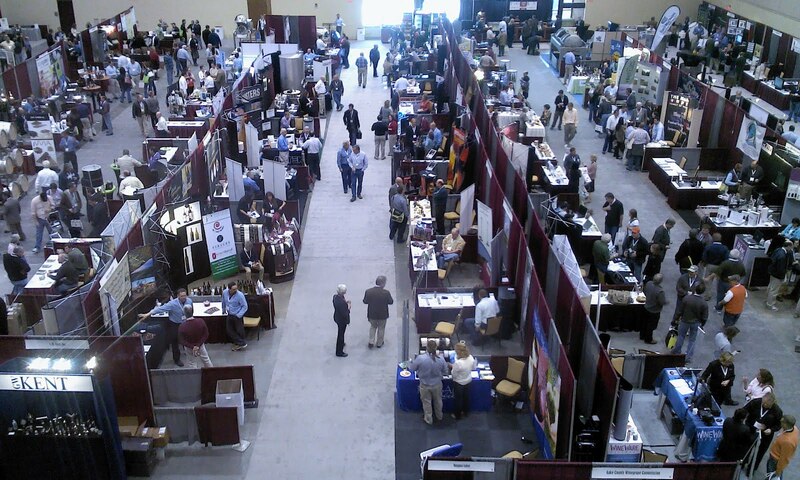 The high attendance figures from Pennsylvania were in part because the Pennsylvania Wine Association scheduled its annual meeting at the Lancaster County Convention Center the day before the Eastern Winery Exposition opened. 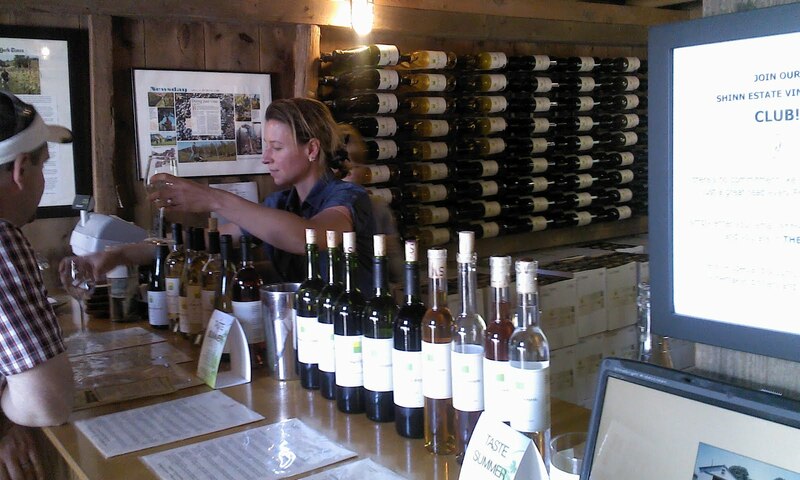 Other state associations also supported the event; for example, 17 members representing 15 wineries from the New Hampshire Winery Association were on hand. Mignarri also felt strongly that because the exposition was being held in the east, the program should be presented by and for the eastern wine industry. The seminar program organized by Richard Leahy drew favorable comments because of its relevance to growers and winemakers in the east. A session about bird netting and control options, for example, was conducted by speakers with firsthand experience in Pennsylvania, New Hampshire and Virginia. Another session about optimizing varietal fruit character in hybrid grapes featured speakers from New York, Vermont, Maryland and Pennsylvania. Expert specialists from around the east The well-known authorities conducting sessions shared perspectives from various geographical areas with attendees. Virginia viticulturist Lucie Morton gave two presentations, one about the benefits and mechanics of close vine spacing and cane pruning. J-L Groux from Ontario’s Stratus Vineyards spoke about oak fermentors and barrel management as part of a session about new winemaking technology. Jerry White from New York’s Cornell University talked about understanding small winery economics. The exposition covered subjects apart from enology and viticulture. Donniella Winchell, executive director of the Ohio Wine Producers Association, and Derek Whittington, also from Ohio, offered a presentation about effective social media networking; Whittington joined Missouri winery owner/consultant Patty Held in a Wine Club Workshop. The diverse program had something for everyone. Interestingly, many veteran winegrowers were in the audience for a session called “Newcomer Workshop: Starting Successfully.” John Kramb, who has been growing grapes for 13 years at Adams County Winery in Pennsylvania, told Wines & Vines why he attended the session. “There’s always something new to learn,” he observed. 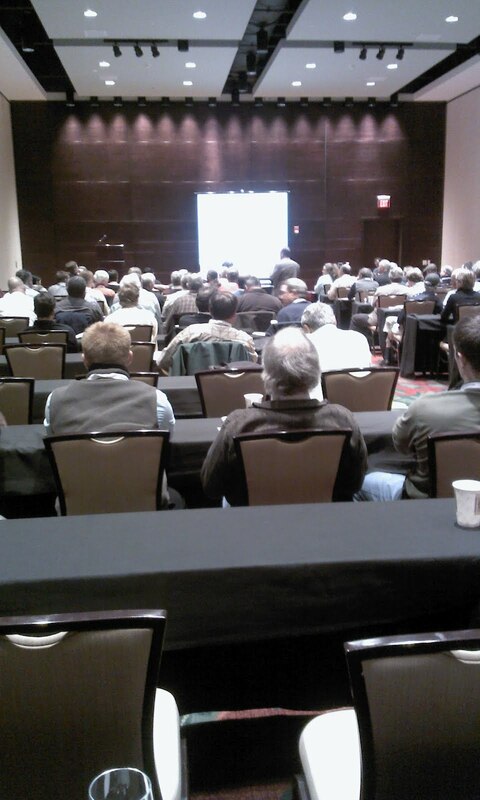 This session was independent of an all-day “New Grower Workshop” conducted by Mark Chien of Penn State Extension and Joseph Fiola from the University of Maryland. That event, the day following the exposition, drew 62 registrants. Bob Mignarri knows that he came up with a winner, thanks in large part to operations director Marcia Gulino, a freelance events coordinator from Rhode Island. 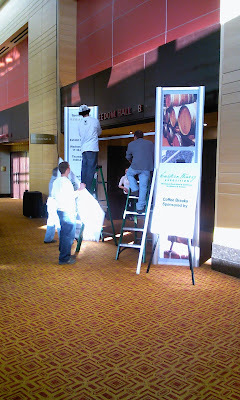 Next year’s Eastern Winery Exposition already is scheduled to be held at the same Lancaster County Convention Center on March 6 and 7, 2013. 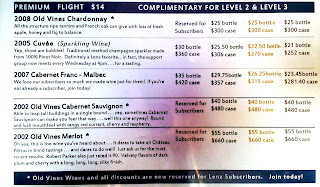 The first time I went to Lenz Winery was in 2005. It was my tenth wedding anniversary and I told Dominique that we could go anywhere in the world for our anniversary. She chose Long Island! 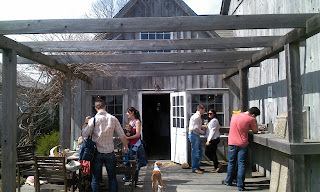 We did the wine camp, out on the North Fork, and it was one of the best vacations we ever took. On that trip we met Eric Fry and tasted Lenz wines for the first time. And I was hooked. 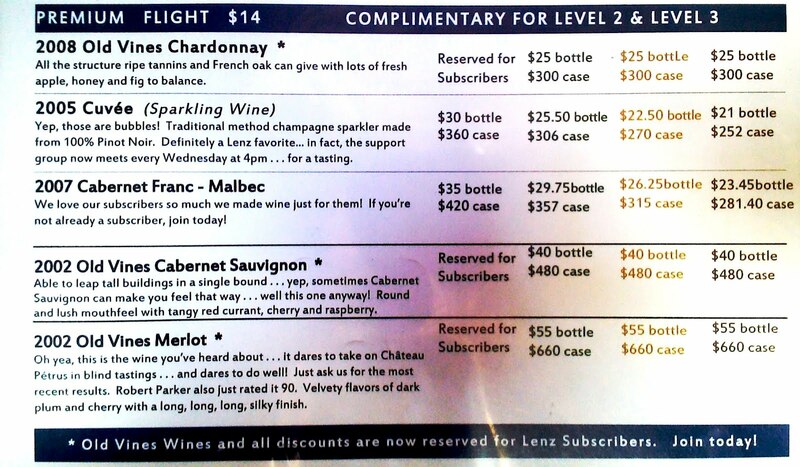 I've had lots of Lenz wines since. But you always wonder, how are their wines now, whenever you've been away for some time. Has quality been kept up? I can;t lie. I wondered....but there was no need to worry. Founded in 1978, the winery has some of the most mature vineyards in the region. Lenz have nearly 70 acres planted with these vinifera grape varieties: chardonnay, gewürztraminer, merlot, cabernet sauvignon, cabernet franc, malbec, petit verdot, pinot gris and pinot noir. According to Sam McCullough Vineyard Manager, "At Lenz, our philosophy in the vineyard is high-touch. We are interventionists and we intervene, at great cost in time and effort, to micro-manage each vine to ripeness each year. Leaf removal, shoot thinning, cluster thinning, crop reduction, triple catch wires, super-attentive pest and fungus control (our "open canopy" approach keeps fungus problems to a minimum), all combine to add cost (unfortunately) but to ensure fully ripe grapes of the highest quality." 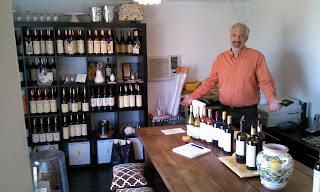 According to Eric Fry, the winemaker, "In the winery, our philosophy is low-touch, though not taken to dogmatic extremes. If a wine needs an acid adjustment, it gets it. If reduction threatens a sulphide problem, we fix it. And we use cultured, not wild yeast to start the fermentation. Beyond that, we want the wines to express the character we've brought out in the vineyard by developing full "varietal ripeness". One important facet of our approach is the "estate" element. All our wines are "estate bottled" which legally means that the wines are made entirely from grapes grown in our own vineyards or vineyards under our own direct care and control. In general the commitment to creating only "estate bottled" wines signifies an approach that eschews winemaking-as-chemistry." So last week I happily braved the doors of Lenz for the first time in a long time. A did a small tasting, and again was again entranced. 2008 Old Vines Chardonnay - According to the notes, the Old Vines style is "intended to emphasize fruit intensity, balance and elegance." 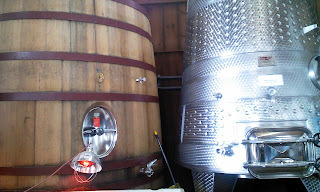 Fry only usesvery limited barrel fermentation and oak-aging tends to be 'neutral,'" meaning they only use older barrels that leave less of an oak fingerprint on the wine. Big, bright flavors of apple and pear come through as promised, and something more along the line of fig or dates also comes through. This is a apectacular chardonnay. Beautiful and elegant. 2005 Cuvée is a traditional Méthode Champenoise sparkling wine made from 100% Pinot Noir. A big nose of yeast and apple and a whiff os something tropical is delicious. This 2005 Cuvée offer bright white cherries with hints of apple and a touch of lime and kiwi. This wine has big flavor, great acidity, and tremendous refreshing dfinish. Brilliant! 1999 Cuvée RD - If you can believe it, this is a new release! Lenz is releasing 60-70 cases of aged sparkling...a program they have established. Fantastic. Huge kudos just for that. The French refer to Champagnes made using this 'late-finishing' process as 'RD', or Récemment dégorgé (recently disgorged). This was incredible experience. This 1999 Cuvee' was more subtle. There was a nuttiness, or an earthiness around it. Something more developed and softer. There was apple, and pear, and honey, more delicate than the 2005. It was golden and soft, more wine than fruit, but an elixir hard to describe. Lots of layering flavors, Extremely complex. This is a fixed taste. If you like aged, vintage wines, you will absolutely love this wine! 2007 Cab Fran/Malbec was a big chewy red. Lots of bold fruit up front, cherries, raspberries, with nice acidity and well balanced tannins. Dark rich color. A fun, delicious wine. 2002 Old Vines Cabernet Sauvignon - This unfiltered red wine was a tremendous wine. This Cabernet Sauvignon was blended with small amounts of Old Vines Merlot, Malbec and Cabernet Franc to give this wine the full body it achieved. Big flavors of dark sewed fruits, tart black currant, ound out this sumptuous wine. The 2002 OV Cabernet Sauvignon is lush and smooth across the palate with flavors of tangy red currants and dark raspberries, rich black cherries and a smooth hint of vanilla. This is wine that can be drunk now or in five to ten years. Fantastic! 2002 Old Vines Merlot - This unfiltered Old Vines Merlot is made from grapes grown in Lenz's oldest blocks, planted more than 30 years ago. Dark-fruit characters of black plums, black cherries and raspberries come through as promised. This is an excellent European-styled wine. Great structure. Great acidity, good tannins, nice long lasting fruit on the palate. And exquisite wine. The thing about Lenz is that everything they put out is quality. It's incredible. A joy to taste and expereince. Fantastic! Still one of the best wineries on the east coast. 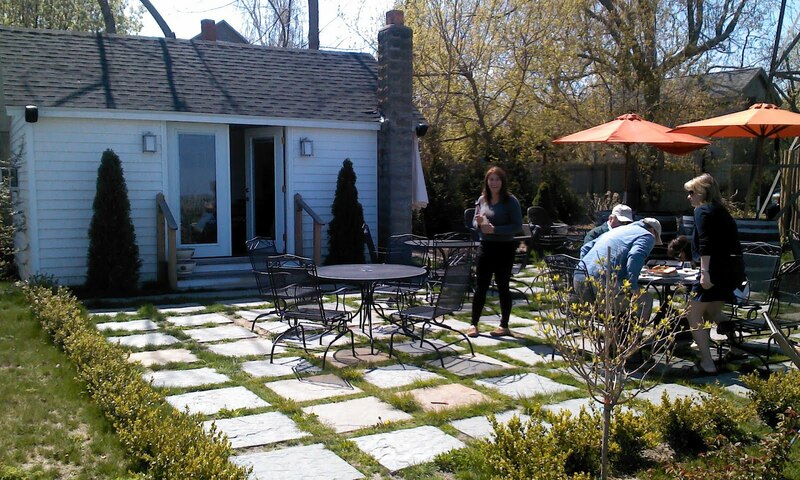 I was recently in Long Island for a business trip and decided to do a little wine tasting while I was there, as I have been known to do. My wife admonished me not to spend too much money because the wine cellar is full. Hah! While I was down, I thought I would visit several of the vineyards that I would visit as many wineries as I could that I had not been to before. This is the first of six or seven reviews from that trip. It was a wonderful weekend! 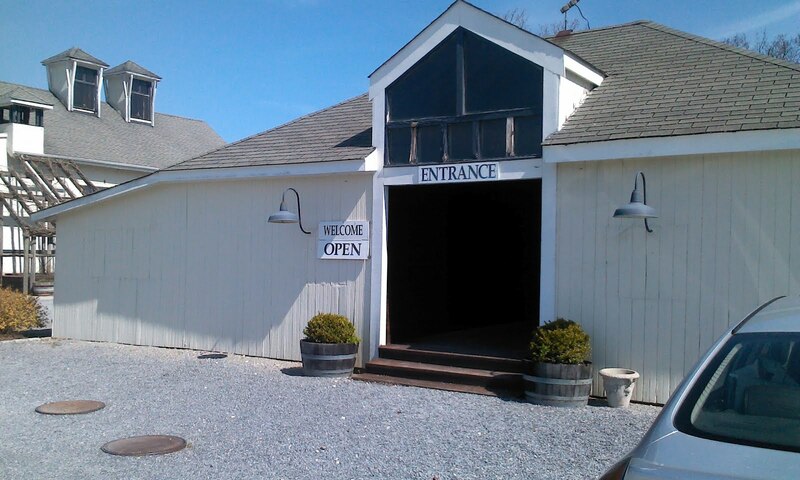 Mattebella Vineyards is a small family farm, located in the State of New York’s oldest town, Southold (established in 1640), on the eastern end of Long Island. 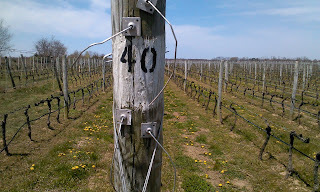 It was originally named the Silver Nail vineyard by those who planted it some years back. It has predominantly European clones of grape varietals, tight spacing (6×3), and low vigor rootstock. The vineyard an winery are owned by Chris and Mark Tobin who have owned it about five years or so. There is no Mr. Mattebella, as one might envision...some swarthy southern Italian brimming with old world gusto like Anthony Quinn. No, it is a name derived from the names of Chris and Mark's children, Matthew and Isabella. Mattebella. I liked it immediately. Of course, Matthew an Isabella, while certainly the inspiration for the winery's name, are less interested in all things wine than they are in finding something else to do with their day than working there, as most children would be. But make no mistake, this is a family affair. The winery is unique. 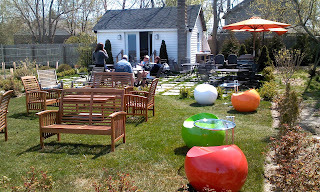 Somewhat like Sherwood House, Mattabella doesn't exactly have a tastingroom much as a beautifully appointed shack. It is extremely cool, and wonderfully charming. Also, much of the tasting is done outside, on a beautiful patio, wonderfully appointed with a variety of furnitures, that overlooks the vineyard. Stunning. One of the things I liked about Mattebella is that they insist that they do things the old fashioned way. After I was there for a while, I agreed. I didn't get a chance to hang out with Mark, but I did see him in action, working outside, busy, industrious, trying to get as much done as possible. And as one who has been to a number of wineries, this was old school, single winemaking. I like the fact that all their grapes are picked by hand. 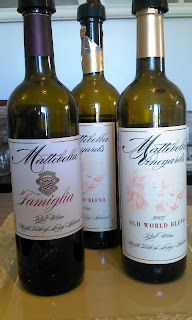 And I liked that Mattebella Vineyards is committed to using sustainable viticulturural practices, while incorporating as many organic practices as possible into their farming methods. In committing to a healthy, responsible approach, they hope to make a footprint in our memory but not on the environment. They may not be LISW standards (newly established) but it is a codified approach that other wineries who claim they are sustainable do not make. 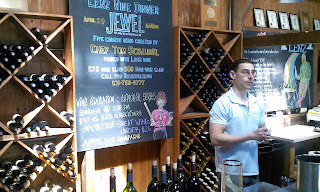 As I went into the tasting room I was greeted by tastingroom staff member John. John was extremely friendly, and he and Chris made me feel right at home. The first two wines were the Chardonnays. The 2008 was very much a Chablis-styled wine. 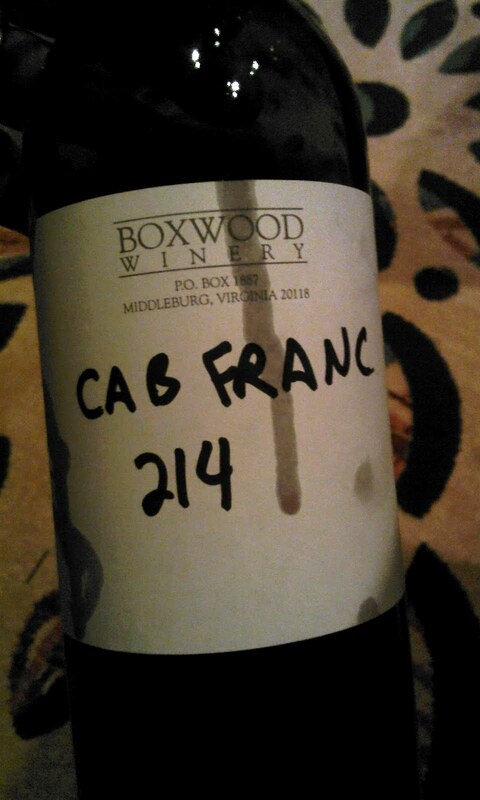 20% was aged in oak. Pear and apple and old honey some through on the nose. Nice great big appetizing wine. The second Chardonnay 2009 was brimming with orange, peach, melon, and vanilla. This was an excellent food wine, with fresh fruit and bright clean acidity. Then there were the two wonderful rose's. The 2009 Rose' was exploding with strawberry, watermelon, and a big dollop of pink grapefruit. It was a lovely, dry, elegant classic European-styled rose'. The 2010 Rose' the wine was left on the skins for seven hours. Here the strawberry was much, much bigger. More nice watermelon. A nice big note of citrus was also more evident. These were two wonderful roses'. Excellent! 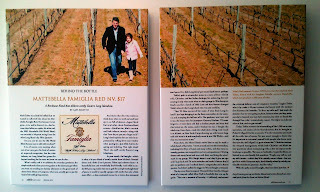 The Famigilia Red was an eye-opener. This is the winery's non-vintage table red. Cherry, cherry, cherry say my notes. And I still remember it. A blend of Cabernet Franc and Merlot, this wine, a blend of sometimes two and three vintages, was a knockout. Possible one of the best table reds in the state. All the wines are aged in oak, as single clones, then blended together later. Great structure. Very, very nice! 2007 Old World Blend is a dry blend of Merlot, Cabernet Franc, and Cabernet Sauvignon was big fruit, big acids, big tannins.Nice vanilla. A Touch of fallen leaves. 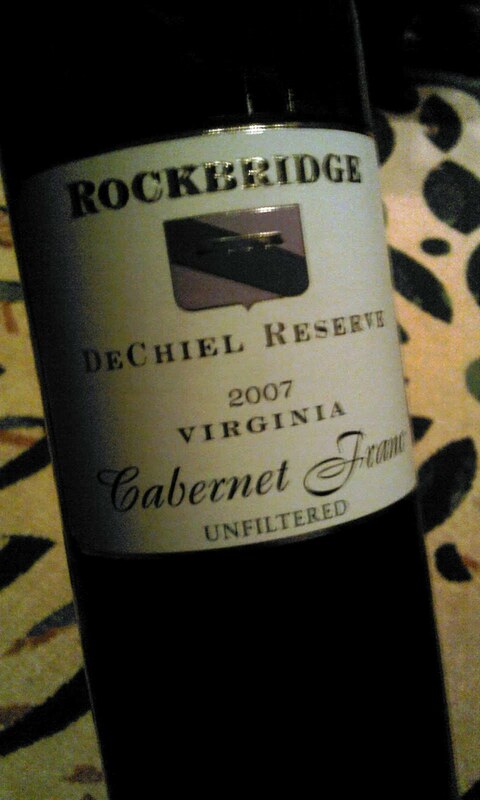 This is a very nice Meritage-style wine. Very lovely. The 2008 was something similar. Big fruit. Big tannins, Big acids. Classic Bordelais-styled wine. The vanilla was more pronounced in this newer wine. Both will age beautifully for another 5 to 10 years. These are classic reds. Very well structured. Big wines ready to drink now, but absolutely, guaranteed cellarworthy. I was also lucky enough to taste the 2005 Old World, the first wine the winery every made for commercial sale. Prune, plum, vanilla, fallen leaves, fabulous and excellent were my two notes. Big soft dark fruit up front. Nice tannins. Chewy. Exceptional!!!! It was a great time. The setting was lovely. The tastingroom was charming. The wines were wonderful. It's a little bit off the beaten path, but Mattabella is well worth it.